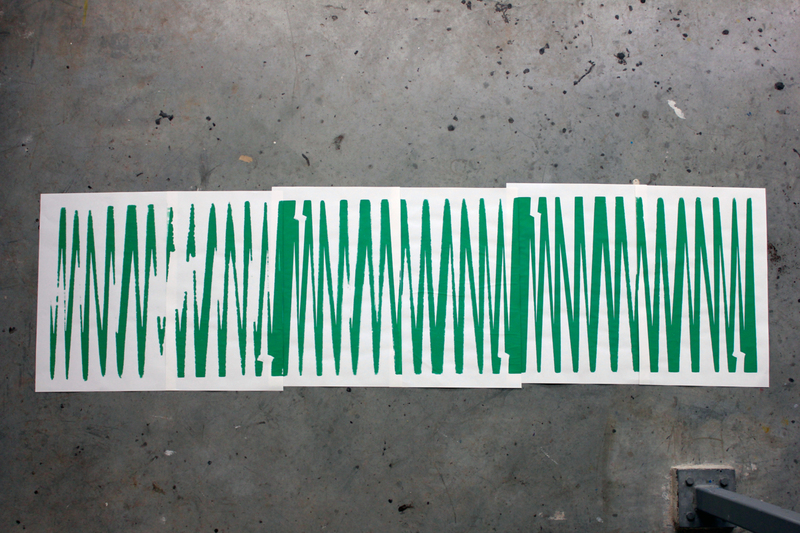 My residency at the Grafisch Atelier Daglicht gives me the opportunity to experiment with different graphic techniques. 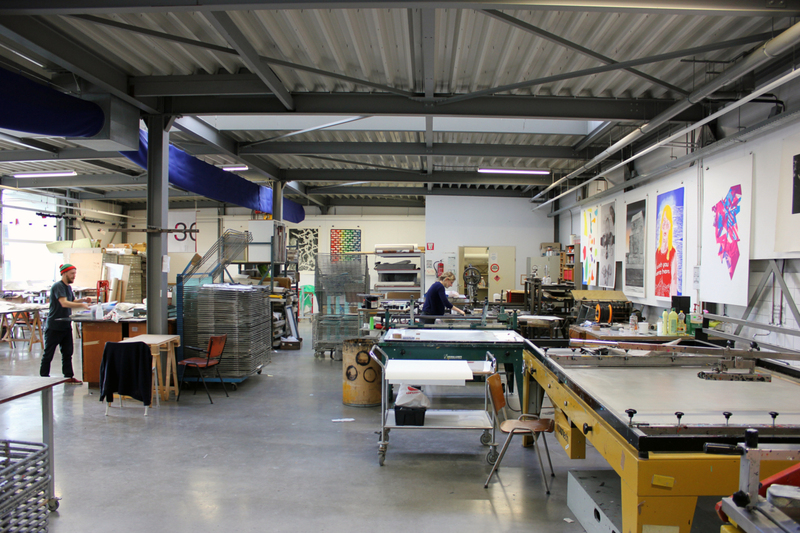 Daglicht houses amazing screen printing facilities, it is especially renowned for its ability to work in big sizes. 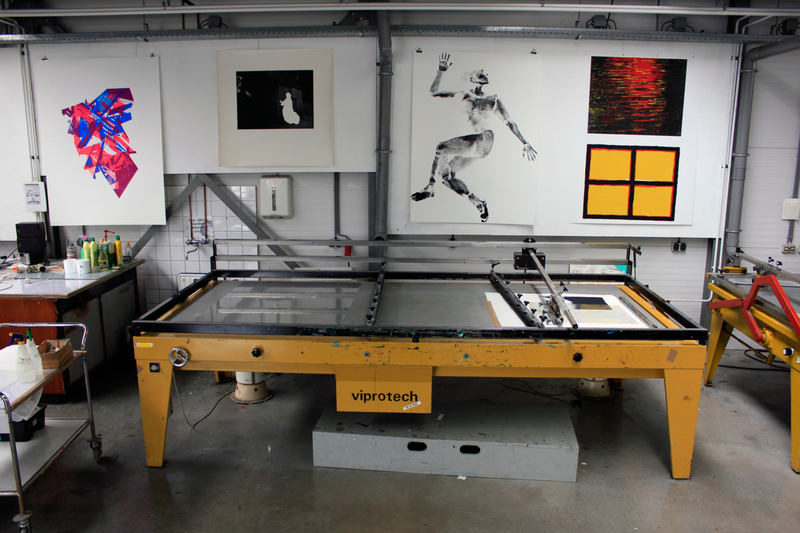 For I don't have much experience with screen printing yet, the residency at Daglicht and 'One Window #1' are good reasons for me to start experimenting with the technique. In the bookcase of Daglicht I found a good old decent book about printmaking, explaining all general print techniques as well as more diverse screen printing techniques. I was caught by simplicity of ‘the paper stencil’ technique of which Woes already had shown me an example. 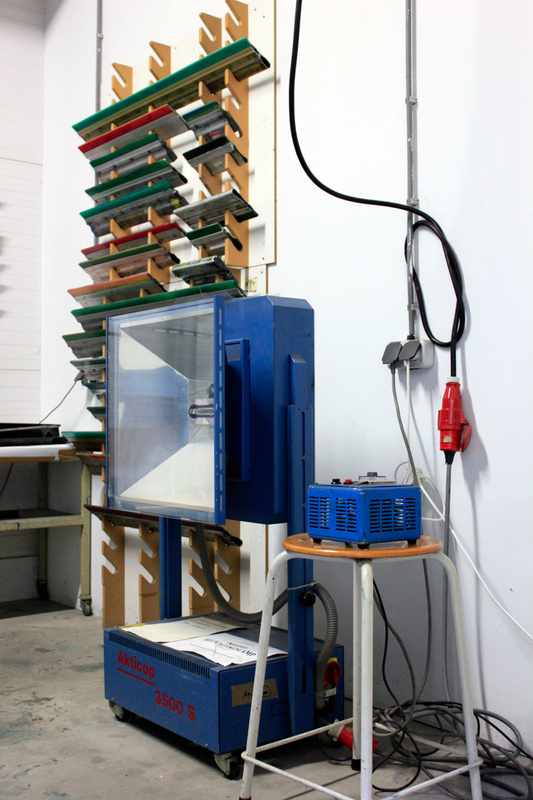 Making a paper stencil screen print you place pieces of paper between the screen an your print paper. After the first print the loose pieces of paper will stick to the screen caused by adhesion of the ink, which allows you to make several prints. The ability of the pen plotter to cut paper will give me the opportunity to work fast and precise using the paper stencil technique. 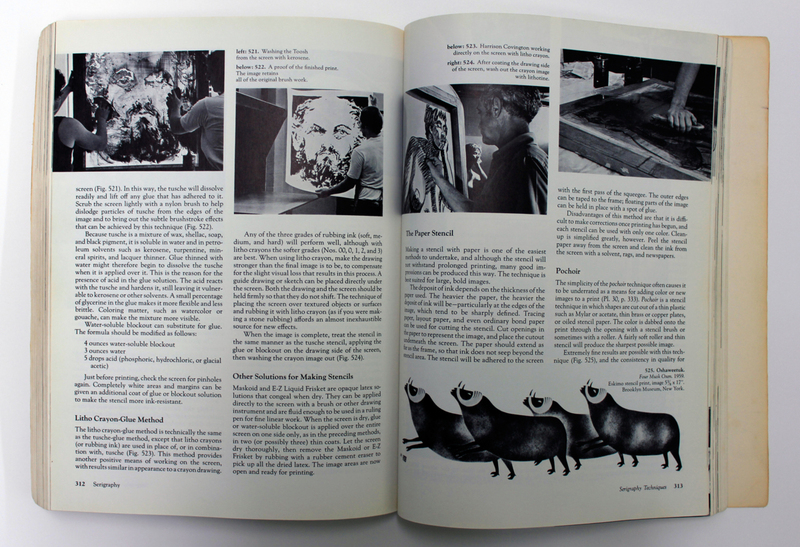 Donald Saff & Deli Sacilotto – Printmaking. History and Process. I decided not to doubt for too long and just make a first test which resulted in the following prints. By printing a small series I detected little variations in the prints. After the first print one of the triangles got loose and so disappeared in the following prints. Then another triangle got folded, changing the following prints again. 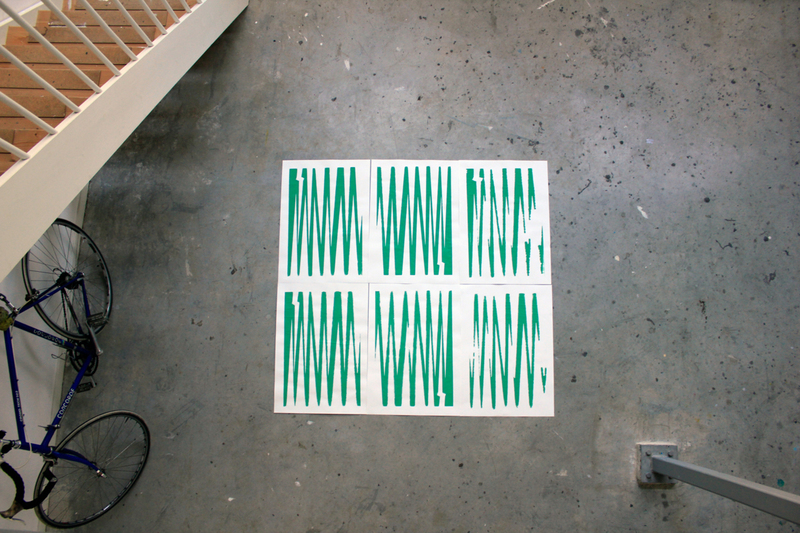 I cherish these failures for they create variations within a series of prints. At last I was pleasantly surprised noticing that the prints by coincidence create a slightly changing repetitive pattern when placed alongside each other.